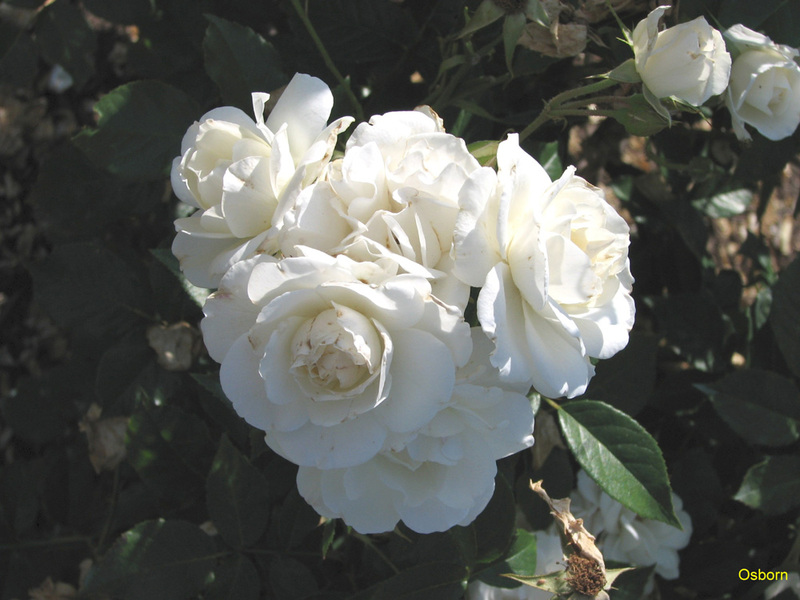 Comments: This is a popular white flowering floribunda cultivar that blooms over an extended period from spring through the summer. The double white flowers are borne in large clusters. Provide full sunlight and a well drained soil for all roses. Be prepared to contol insect and disease pests that attack roses.